If you’ve looked for a quote on wrecker insurance, you already know it isn’t cheap. Luckily there are three methods tow truck companies use to lower the cost of wrecker insurance. Contact Multiple Agents. Every insurance agent you work with will be looking at the same information. The difference is that not all insurance companies assemble their quotes with idential weights to these different risk factors. One agent may look at your information and see a very risky client while another may look at your information and see a very safe client and therefore offer you a cheap quote. It’s important to submit your details to as many agencies as possible. Use an Online Quote Tool. 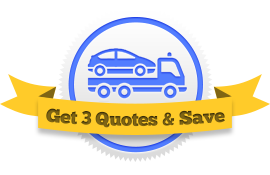 Finding insurance companies that do wrecker insurance quotes can be a painstaking process. There just aren’t many out there. That’s why it’s useful to utilize online tools to get you in touch with multiple agents at once. We recommend using our Request 3 Quotes tool, which you can find here. It’s free—but even if it weren’t free, it’d still be a good investment. Review Your Coverages. If you don’t keep customers’ vehicles on your property, you don’t need garagekeeper’s insurance. If you don’t let customers ride in your wreckers, you probably don’t need medical payments insurance. Make sure you only pay for the coverages that you need. Choose a Better Payment Plan. You can pay your premium month-to-month, quarter-to-quarter, or year-to-year. The less frequently you pay, the lower your overall premium. However, it might make more financial sense for you to pay on a monthly plan. Figure out what works best for your business. Bundle Your Coverage. Instead of getting your general business liability and commercial auto insurance policies from different providers, see if you can bundle them from the same provider. This will often save you in the long run. Ask What Discounts Your Insurance Provider Offers. Different insurance providers offer their customers different discounts for things like safety programs and driver training programs. Your first step is to find out which discounts your insurance provider offers. Then work towards implimenting the qualifications. Set Up a Risk Management Plan. One proactive way to keep your costs low is to set up a risk management plan. This will prevent accidents from occuring in the first place and keep your rate from going up. Review State and Federal Safety Programs. The more state and federal safety programs you adhere to, the cheaper your wrecker insurance quote will be. Look over the details for your particular state and see what is expected of your business.